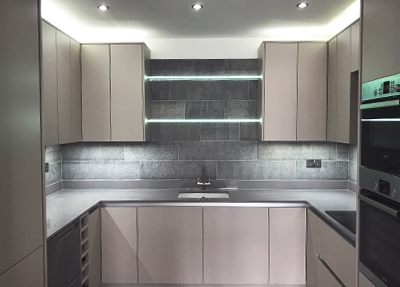 As a bespoke kitchen designer in London, I am able to create kitchen furniture and installations to suit the most specific of customers requirements. If you’ve got limited space or just want to use what you have in the most convenient way possible, London Kitchen Designer is the perfect solution. I have 42 years experience in the trade with the last 15 specifically as a kitchen installer and with a lifetimes experience in design I can take the ideas from your mind and bring them to life in your home. Its simply down to how you feel your kitchen will work best for you and your families lifestyle. 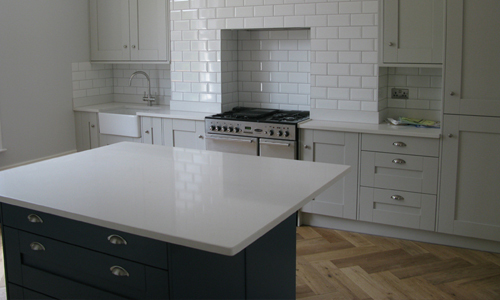 When you use London Kitchen Designer for bespoke work or installation, you are dealing with one point of contact. All our work is guaranteed and fitted by a professional in order to produce the highest possible standard of work. Below is an example of a bespoke piece created for a very satisfied customer so if you are looking for kitchen furniture in your home which you wont be able to find ‘off the shelf’, contact us today and we will be happy to discuss your needs. 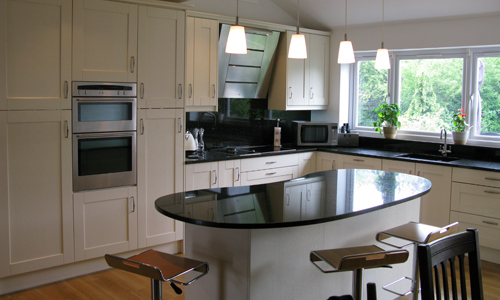 I have over 40 years experience in the domestic building trade and since the year 2000, as a kitchen specialist. I have the ability to create one off unique kitchen design London orientated furniture to suit each individual customers needs and specifications. All of the work you see on this site has been carried out by myself and my team. You can check out this section to see some of the transformations of our very satisfied customers homes. An example of the complete planning process, from start to finish.